Preheat oven to 230°C. Rub the beef roast with the oil and 15g Knorr Demi-Glace Powder, sear on hot grill. Place 1L water into a large pot and heat, whisk in the Knorr Demi-Glace Powder and bring to the boil stirring continuously. 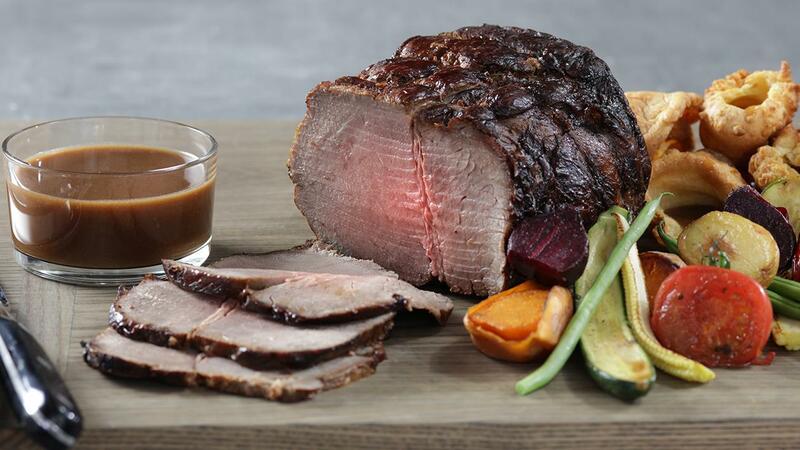 Pour off the beef juices collected in roasting pan, skim the fat and add remaining juice to gravy. Reduce heat and simmer for a further 2 minutes. Slice the beef and serve with sauce, dollop the parsnip mash and pull a spoon through, put some sauce in the Yorkshire, and scatter the courgette and carrots.